Be the first to hear about their new releases and deals. Download the Booksprout app and search for Erin St. Charles today! Erin grew up watching Star Trek and reading Barbara Cartland novels (don't hate), wishing she could create something that brings her love of science fiction together with her love of romance. 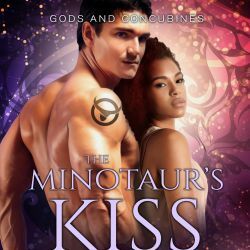 Still a romantic nerd at heart, she writes sensual, diverse stories that blend fantasy, adventure, and love.